Once again, Fedde Le Grand is feeling the love as he continues to give thanks to his fans for the ever-growing support he has received since first breaking into the dance music scene. Now, just weeks on since giving away a free and exclusive version of his latest release - featuring the vocals of the amazingly talented Max’c - Fedde Le Grand has dropped the unique official Video to accompany the already incredible track. Be sure to check out the video and grab the free download now! Full of flashing images, imaginative cartoons, and plenty of provocative imagery, Fedde Le Grand’s new Video for ‘Feel The Love’ portrays a fine line between a bad nightmare and a party that nobody would want to miss. Featuring zombies, floating eyes, menacing hands interspersed with bright colours and groovy partygoers, the video takes you on a journey that perfectly supports the twisted energy and movement of the music. Fedde has once again created a piece of brilliance to add to his extensive catalogue of unforgettable videos alongside the likes of the dancing robot women in ‘Detroit’ and the selfies most recently seen in ‘Twisted’. 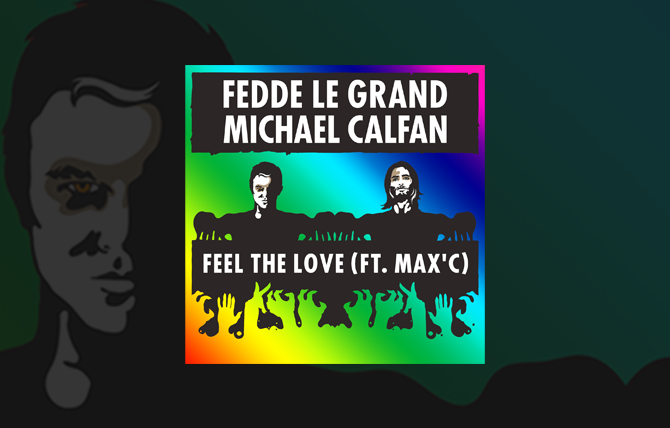 Alongside the creative new video, Fedde is also running a ‘Feel The Love’ remix competition for his ever-loyal fan base. With the winner given the chance to polish up a solo track with the help of the main man himself, to then be released on Fedde’s very own super-label Flamingo Recordings, this is a once in the lifetime opportunity to follow in the footsteps of the Dutch megastar you won’t want to miss. All you have to do is download the stems from the link below and enter your remix by posting a SoundCloud link of your finished track in the comments section of Fedde’s “Official Video” Facebook post. The most liked 10 will enter a shortlist that Fedde will hand pick his favourite 3 from. In between checking out the new video, grabbing the free download or even remixing the track yourself, be sure to catch Fedde at a show near you as he continues to conquer this years biggest and best festivals and clubs.